The Mission of the Southport Yacht Club is to encourage and promote all aspects of yachting in the spirit of good sportsmanship and camaraderie. The Club is committed to creating a Corinthian atmosphere by blending a friendly social environment with a variety of sailing and cruising programs in which members and their families may participate. 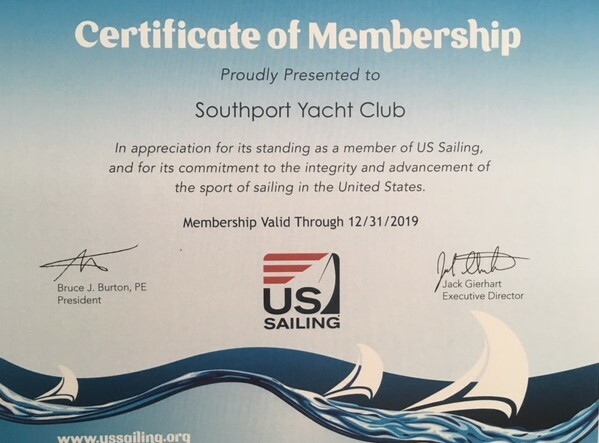 The Southport Yacht Club believes in the promotion of safe boating, the science and practice of seamanship and navigation, fellowship and camaraderie among the members, as well as to provide leadership in club sailing, cruising programs and educational programs for both Sailors and Power Boaters. The SYC is founded on the basic tenant that all members should be active members and that participation of all members in both boating and social activities is vital to growing its membership.